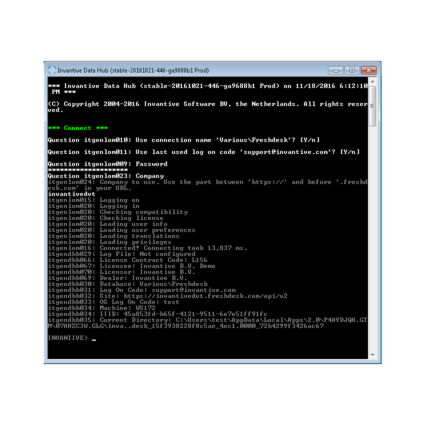 Invantive Data Hub is command-line driven software for background scheduling on servers to execute Invantive Query Tool-compatible scripts to automatically load data into Freshdesk or unload data for other uses. The Freshdesk Edition of Invantive Data Hub is command-line driven software that is capable of executing Invantive Query Tool-compatible scripts across many database and cloud platforms. Ideal for high volume data loads into and extractions of Freshdesk. It provides a headless mode which makes it ideal for use in server environments and scheduled uploads and downloads in lights-out operations. Thanks to compatibility with the popular Invantive Query Tool scripting language, you can easily move business processes you have designed on Invantive Query Tool into a server environment. Besides high volume data loads you can also generate reports in Excel and other formats using data from Freshdesk. - Schedule and run high volume data loads and extractions of Freshdesk. 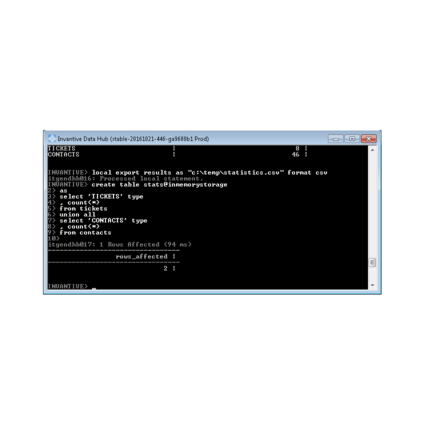 - Headless and command-line driven for use on servers. 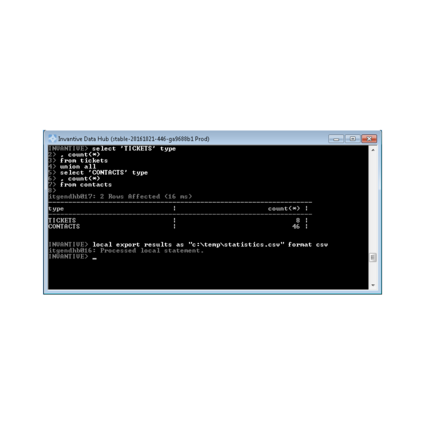 - Invantive Query Tool-scripting language compatible. - Share reports in PDF, SQL, CSV, Excel and XPS formats to network shares or DropBox. - Direct distributed SQL statements and replication between Freshdesk, SQL Server and MySQL (extensible to over 40 platforms). Once you click on the download button on the URL http://download.invantive.com/, you will be able to download and install the solution. 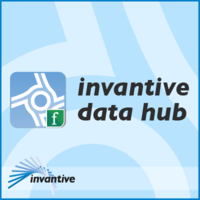 You can try out the free trial version of Invantive Data Hub which includes all available features for 30 days.